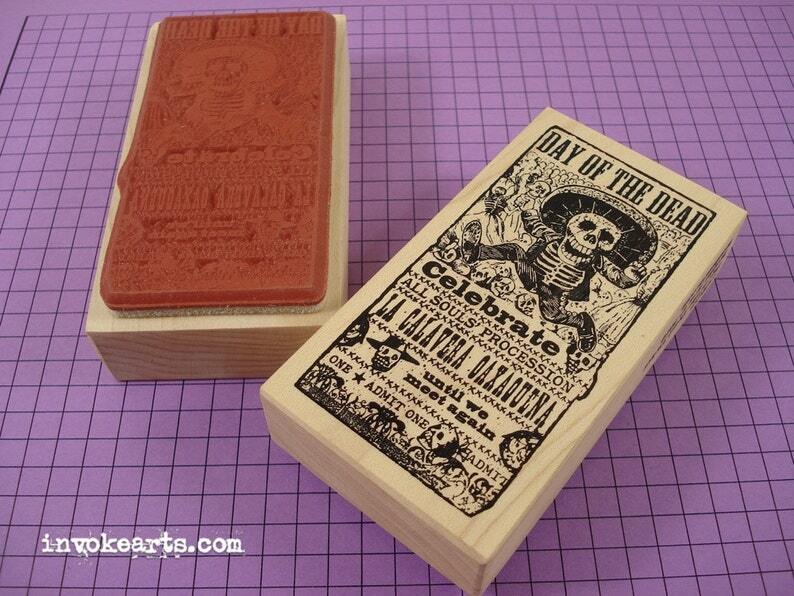 Wood Block Measures 2" x 3 3/4"
This Iconic image inset into a Day of the Dead Ticket adds a fun element to collage stamping, Tag Art, Journals, Mixed Media and Collage. I love Dia de Los Muertos! This stamp will make it's way into my art. Great stamp and quickly delivered!